Dimensions 1 by 6.25 by 8.25 in. 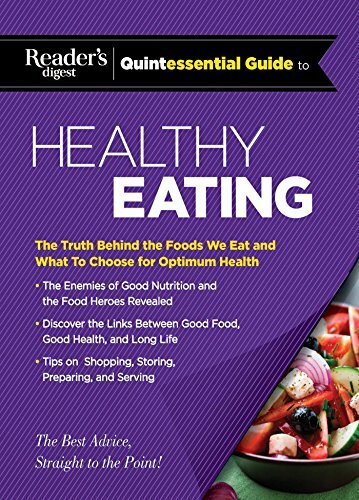 Amazon.com description: Product Description: A clear, fresh and frequently surprising guide to good, nutritious food; Inside you will find expert, unbaised information on what is good for us and what is not. The ReaderÃ¢ÂÂs Digest Quintessential Guides do what the ReaderÃ¢ÂÂs Digest does better than anyone: the best advice, straight to the point.ÃÂ It will help you sort out the facts, clearing the path to the best, healthiest food for your well being. This is your basic guide to modern nutrition, covering hundereds of everyday foods and ingredients.